Hi! Can anyone make or send some sound mods from TDU Central? They had "back in the day" good sound mods, until the website die "pathetical" like these ones for example. If anyone has them or atleast make them sound proper mad! Everyone will be appreciated P.S markomat666 if you're reading this. Reupload those files, they're good sound mods! Assetto Corsa: Red Pack and Update 1.7 Now Available! released TDUZoqqer: Lamborghini Gallardo LP570-4 Superleggera, Performante, S.T.S. released tduchicken: Lamborghini Reventon Sound Mod V.2.0 WITHOUT LAGS!!! Hey Guys! Download: Mediafire All Rights Reserved! I hope you like this mod! If you have any request, ask me in my collecting-thread! released Lamborghini Veneno Sound V. 1.0 WITHOUT LAGS!!!! Hey Guys! Download: Mediafire I hope, you like this mod! If you have any mod request, ask me in my collecting thread! 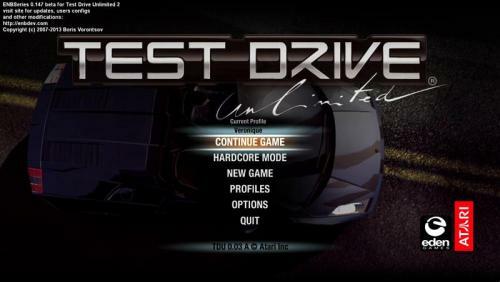 released Lamborghini Gallardo Sound V. 1.0 WITHOUT LAGS!!! Hey Guys! Audi R8 V10: Ferrari F430 Scuderia: Download: Audi R8 V10 Sound: Mediafire Ferrari F430 Scuderia Sound: Mediafire I hope, you like this mod! If you have any mod request, ask me in my collectng-thread!